class="post-template-default single single-post postid-347215 single-format-standard group-blog masthead-fixed full-width singular wpb-js-composer js-comp-ver-5.7 vc_responsive"
RRN/ NRRA President Ben Steffen(left) presents "Service to Agriculture Award" to NFU President John Hansen. 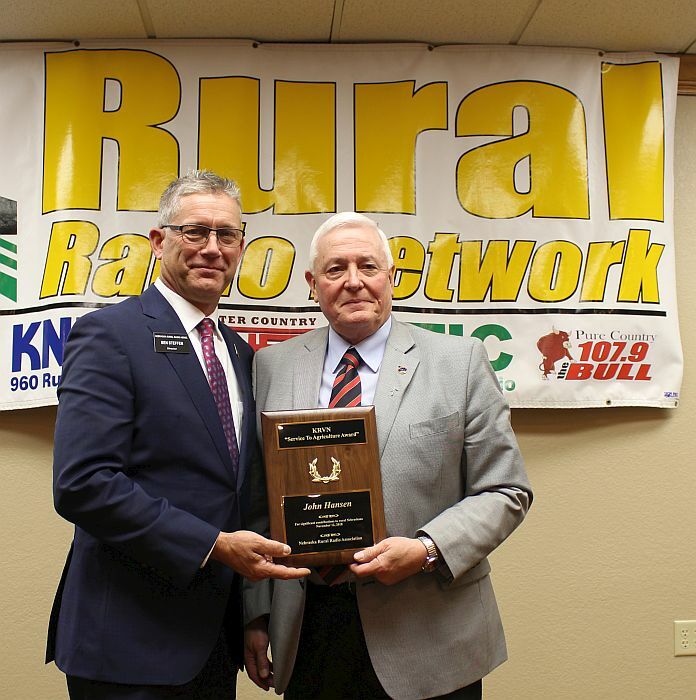 Nebraska Farmers Union President John Hansen was presented with the Nebraska Rural Radio Association’s prestigious “Service to Agriculture Award” at the NRRA’s annual meeting Monday November 12, 2018 in Lexington. During his acceptance speech, Hansen explained how he arrived at the name of the radio feature he’s been producing since he became the head of the NFU 29 years ago. He said he “wanted a name that was clearly tied to agriculture, conveyed a lot of activity and intensity and was widely understood and reflected something about who I was.” He further said the name of the program came from the activity that went on when his family took care of branding and vaccinating calves. And “since ‘Irons in the Fire’ was an expression that was very commonly used by both, my Grandma Ruth and my mother Cindy, to describe to others about what was going on around the Hansen farm. It was an expression that felt like home to me.” Hansen thanked the Nebraska Rural Radio Association for allowing the four founding members of the NRRA, Nebraska Farmers Union, Nebraska Farm Bureau, Nebraska State Grange and Nebraska Co-Op Council, the opportunity to visit with rural Nebraskans each week. RRN/ Nebraska Rural Radio Association annual meeting held on Monday November 12, 2018 in Lexington. Hansen posed the “What If” question…of… What Would Have Happened if the Four Agriculture Organizations That Founded The Nebraska Rural Radio Association — Nebraska Farm Bureau, Nebraska Co-Op Council, Nebraska State Grange and NFU Would NOT Have Been Able To Put Aside Their Differences To Create The NRRA? Hansen said “what a terrible loss it would have been for rural Nebraska to not have this wonderful, farmer-owned network. The fact that the four organizations stepped-up, did come together, did set-aside their minor differences and did work together on behalf of the whole (rural) community serves to remind us all (of) what we are capable of doing when we work together and harness the power of cooperation.” Hansen also told those in attendance at the NRRA’s annual meeting in Lexington that agriculture is facing the worst financial crisis since the mid 1980’s and said public officials need to be reminded to respond to the plight of farmers in an appropriate and effective way. The “Service to Agriculture Award” has been presented to 34 recipients since it was first presented in 1987 to former U.S. Secretary of Agriculture Clayton Yeutter. The NRRA’s Board of Directors nominate and then select a recipient to be honored for significant contributions to rural Nebraskans. 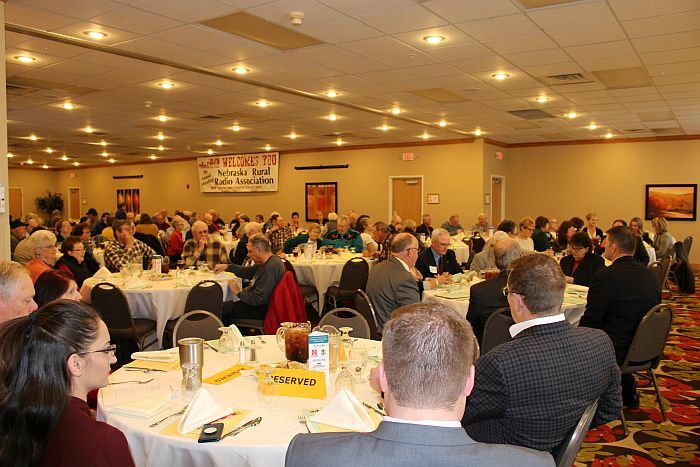 The Nebraska Rural Radio Association annual meeting included the election of three board of director positions. 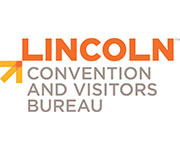 Rich Lackaff of Bassett was elected to serve as District 3 Director replacing Bill Luckey of Columbus who retires from the board after serving from 2009 to 2018. Bart Beattie of Sumner was elected to serve as District 4 director, replacing Jerry Stahr of York who retires from the board after serving from 2012 to 2018. Jim Ramm of Atkinson was elected to serve the District 3 & 4 At Large director position to replace Kevin Cooksley of Weissert who held that position from 2003 to 2018. They will join six other seated board members. District 1-Ben Steffen-President, District 2-Dennis Fujan, District 5-Elaine Redfern, District 6-Russ Anderson Vice President, Districts 1 & 2 At Large-Debbie Borg, Districts 5 & 6 At Large-Doug Saathoff. 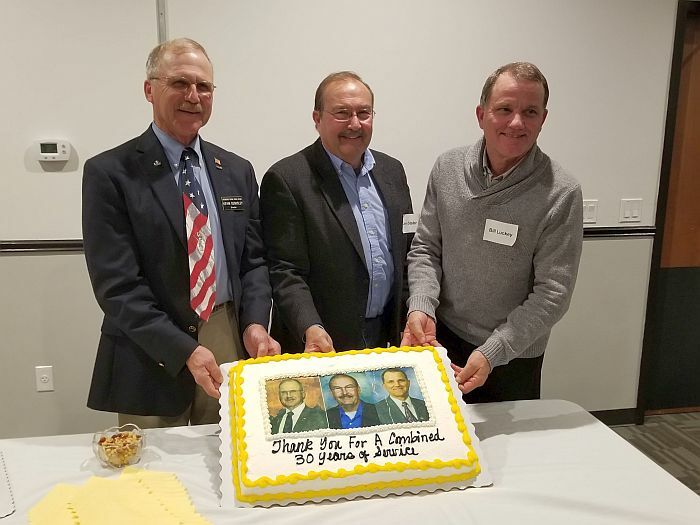 RRN/ Retiring NRRA Board of Directors honored during KRVN Staff/Board dinner Sunday November 11, 2018. 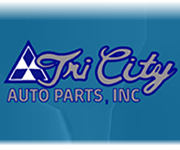 (Left to right) Kevin Cooksley, Jerry Stahr and Bill Luckey. The Nebraska Rural Radio Association was formed in 1948 with the goal of bringing information to farmers and ranchers in the state, including daily grain and livestock markets, weather and farm reports. Its first station, KRVN-AM, Lexington was started in 1951. 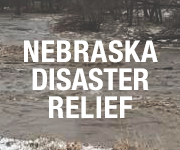 The NRRA also includes KNEB Radio, Scottsbluff; KAWL Radio, York; KTIC Radio, West Point and the Rural Radio Network, a coalition of radio stations carrying agricultural reports and information.